Jean, age 79 passed away peacefully with sons and family by her side on November 16, 2018. Born December 10, 1938 in San Francisco to John Henry Stanley and Ruth Murray Stanley. 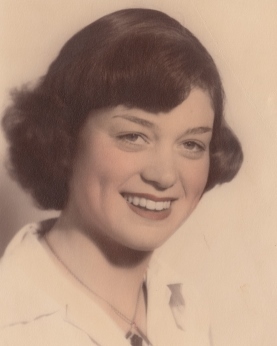 She graduated from Willow Glen High School in 1956. She dedicated herself to volunteering for 28 years at Washington Hospital. Jean is survived by her loving sons, Dwayne Baptist (Ellen), James Baptist (Joan), Richard Baptist (Pam), and Ronald Baptist (Merl); brothers Jack Stanley (Carol), and Jerry Stanley (Lucy); her grandchildren, great grandchildren, nephews, nieces, cousins, relatives and friends. Her love, compassion and cheerfulness impacted many people and she will be deeply missed. A Vigil will be held on Friday, November 23, 2018 @ 7pm. A celebration of life will be held on Saturday, November 24, 2018 at 11:30am and burial to follow at Los Gatos Memorial Park. In lieu of flowers, please send your donation to Washington Hospital Service League.